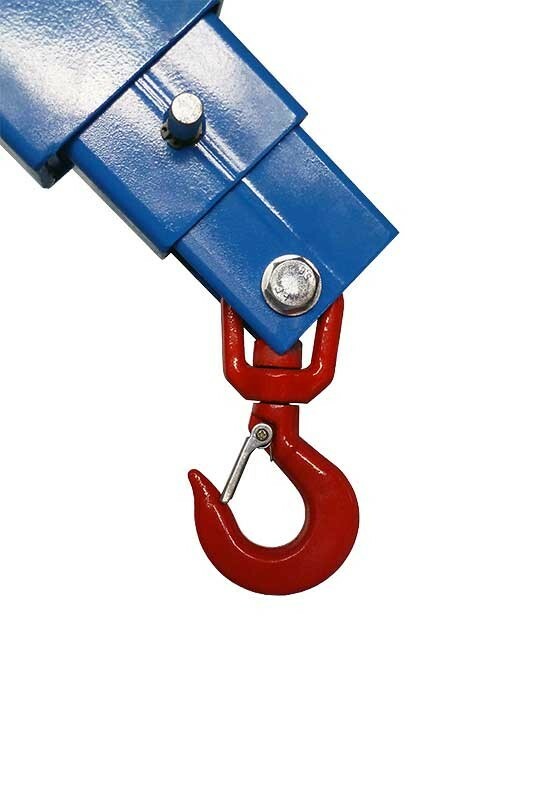 The MKS 550 G counterweight crane from JHT - Janssen Hydraulik Technik GmbH is ideally suited for lifting maximum heavy machines and truck engines. 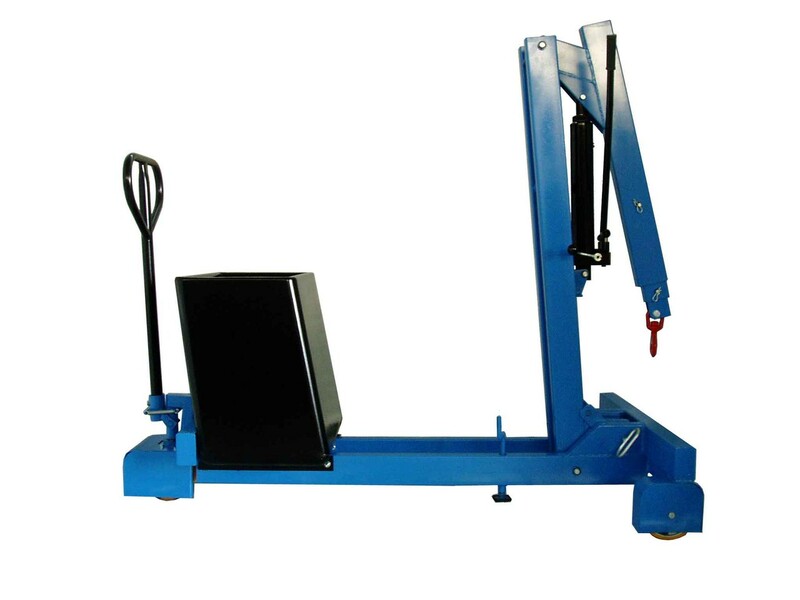 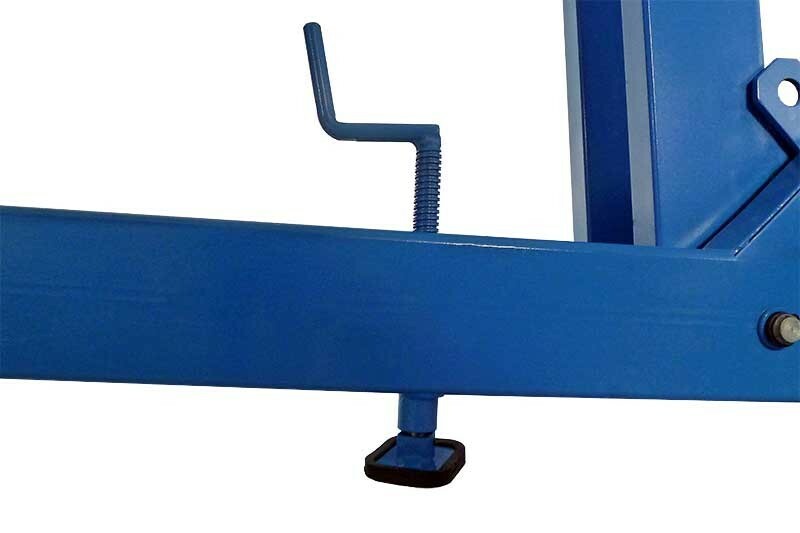 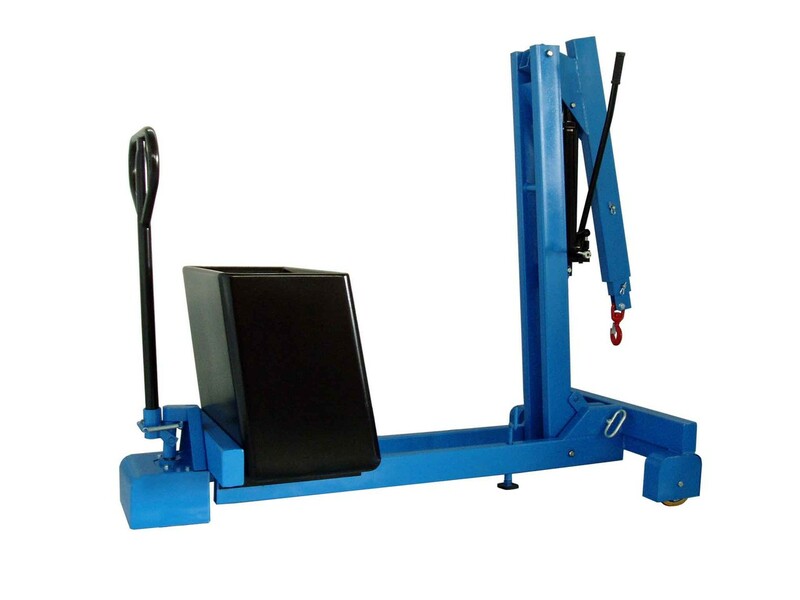 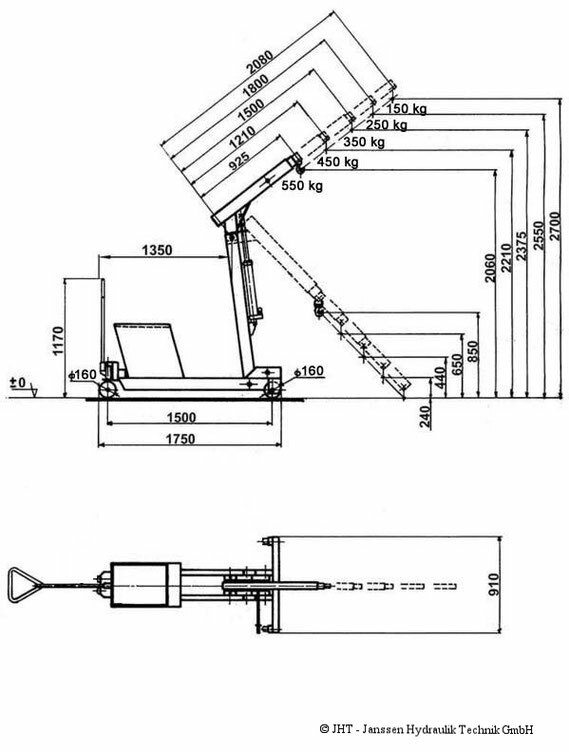 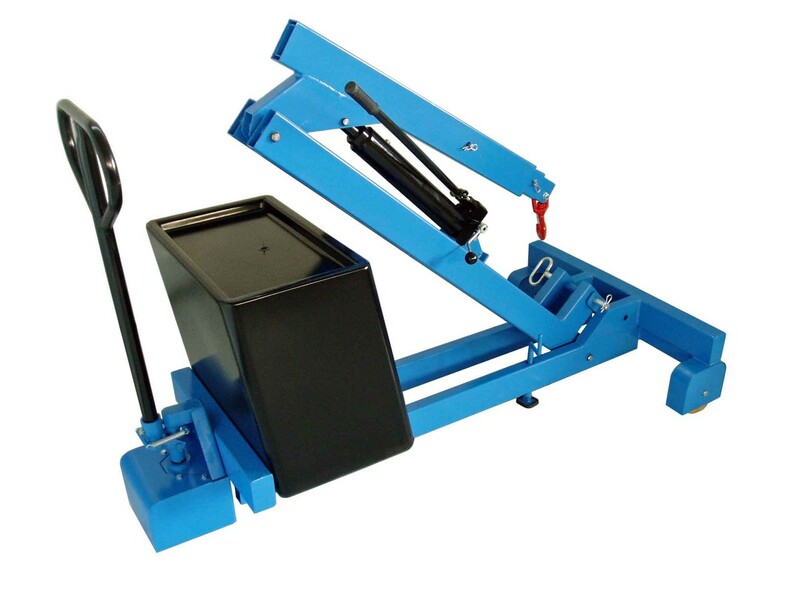 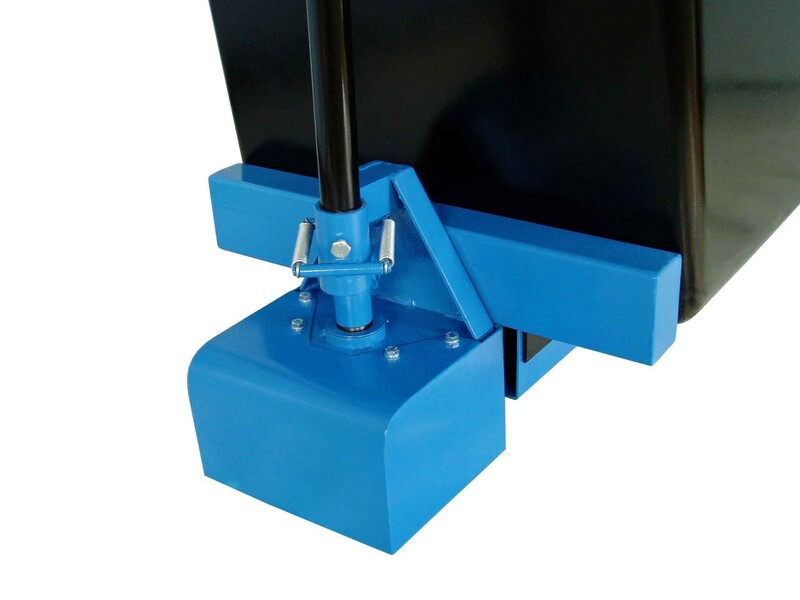 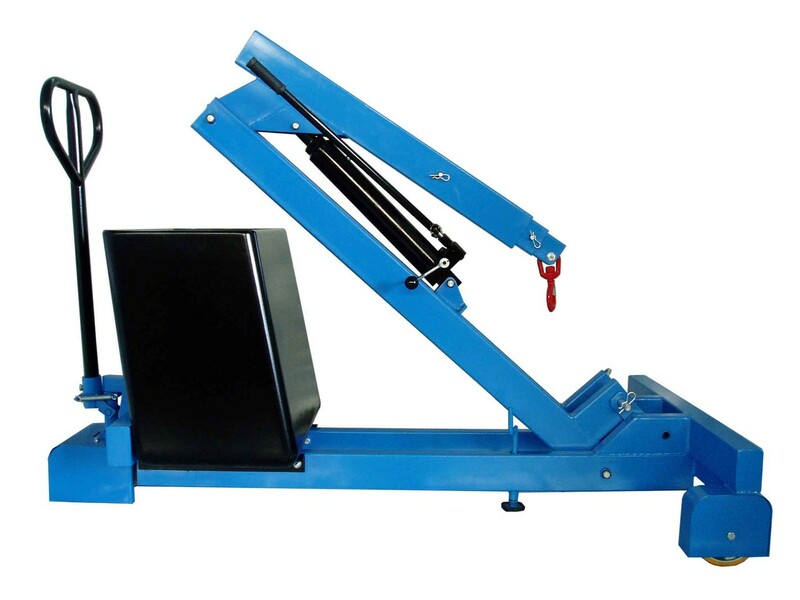 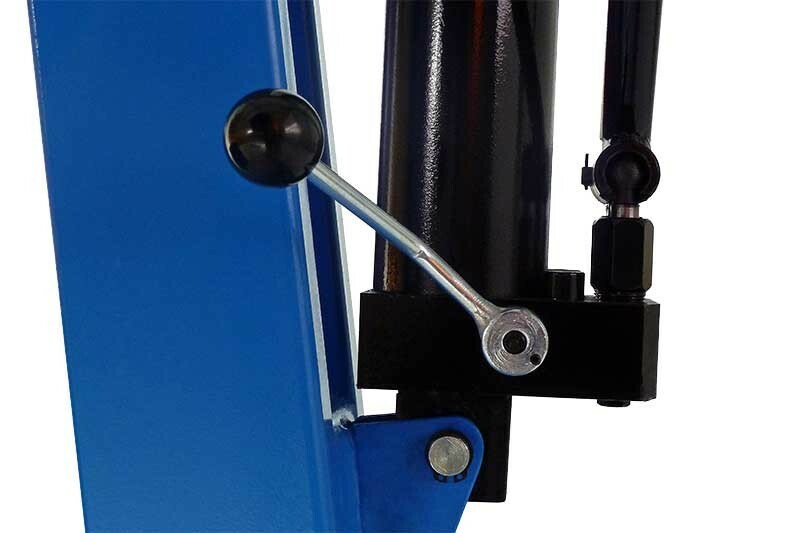 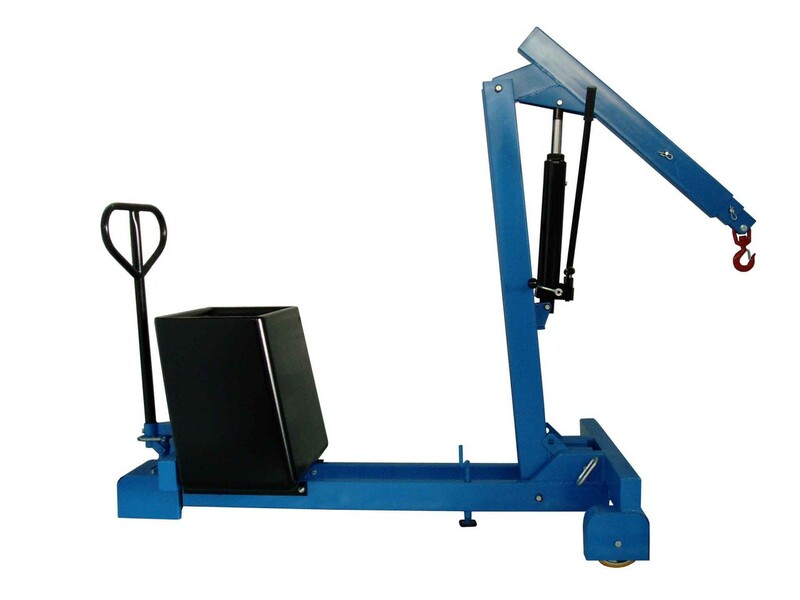 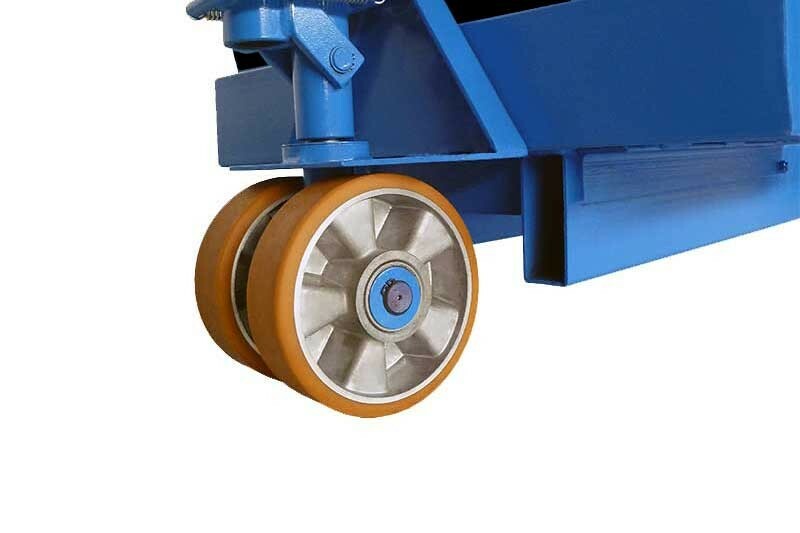 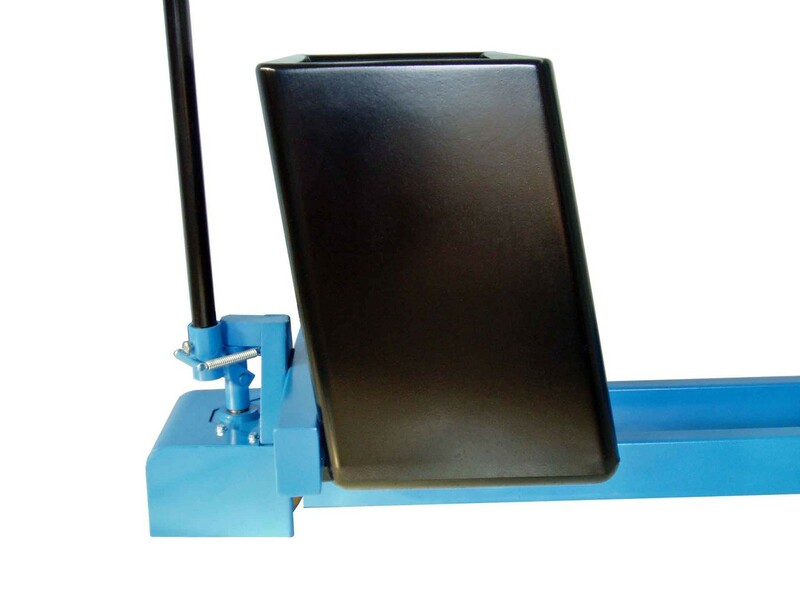 The support arm has five adjustment options, allowing a large reach in front of the wheels. 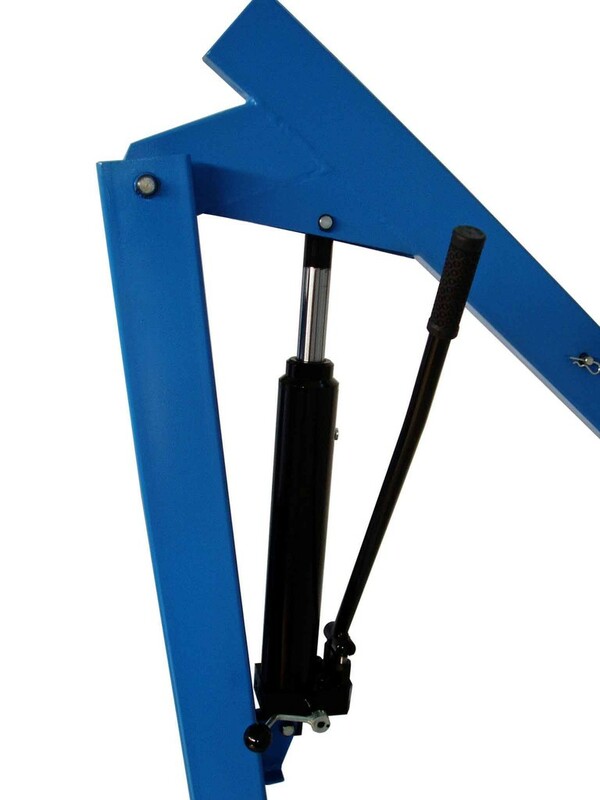 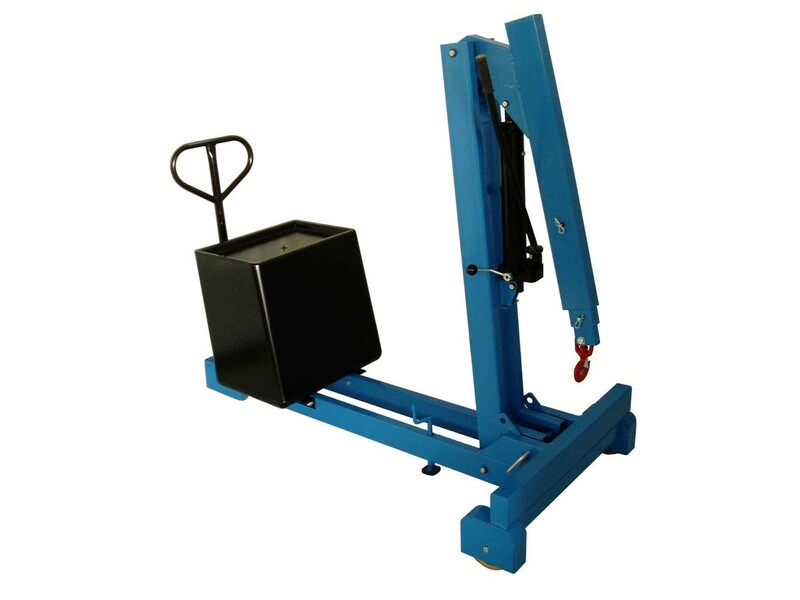 The hydraulic unit is equipped with a double-acting hydraulic pump, with each pump lever stroke the piston is moved upwards (time saving). 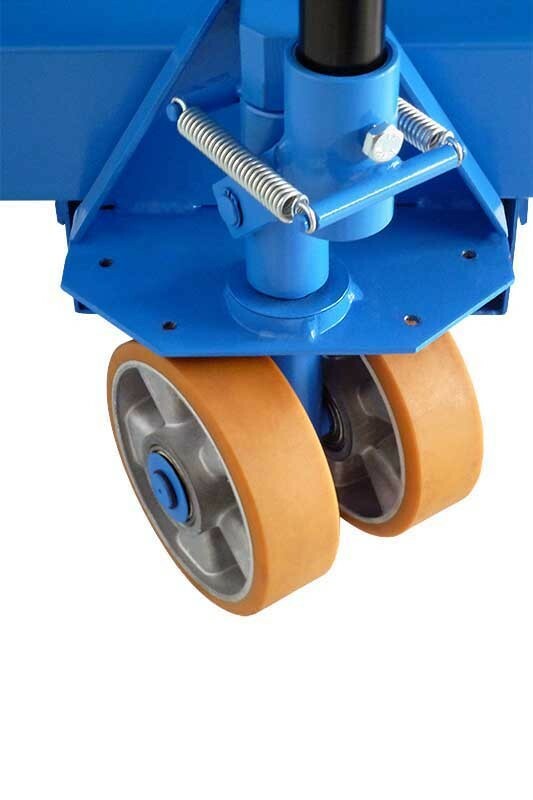 In addition, all wheels have ball bearings. 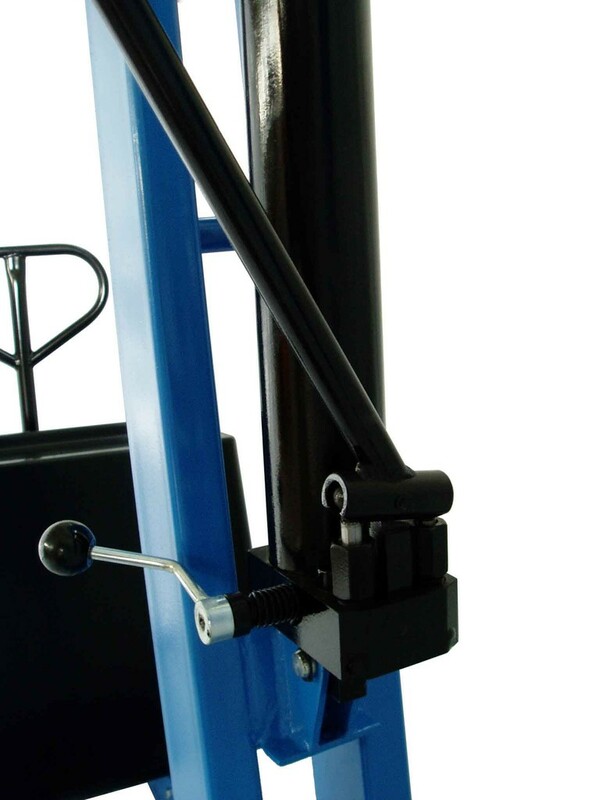 Good and safe manoeuvring is possible with the steering drawbar and tandem wheels. 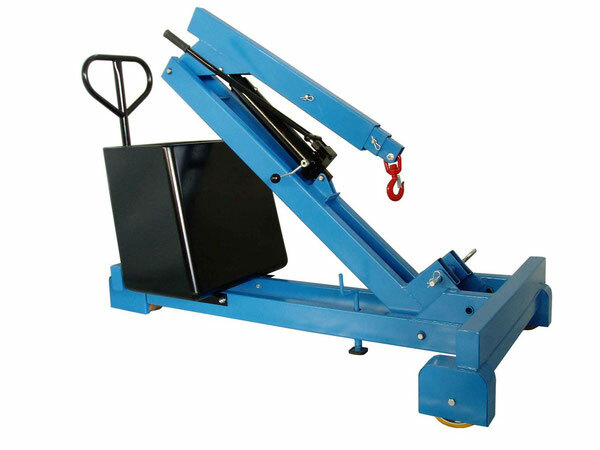 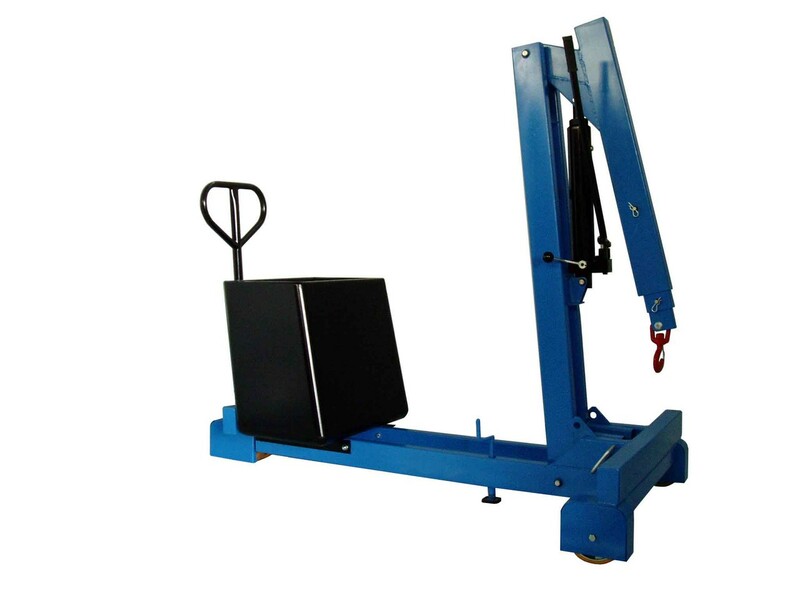 The counterweight crane is supplied ready for operation - including counterweight. 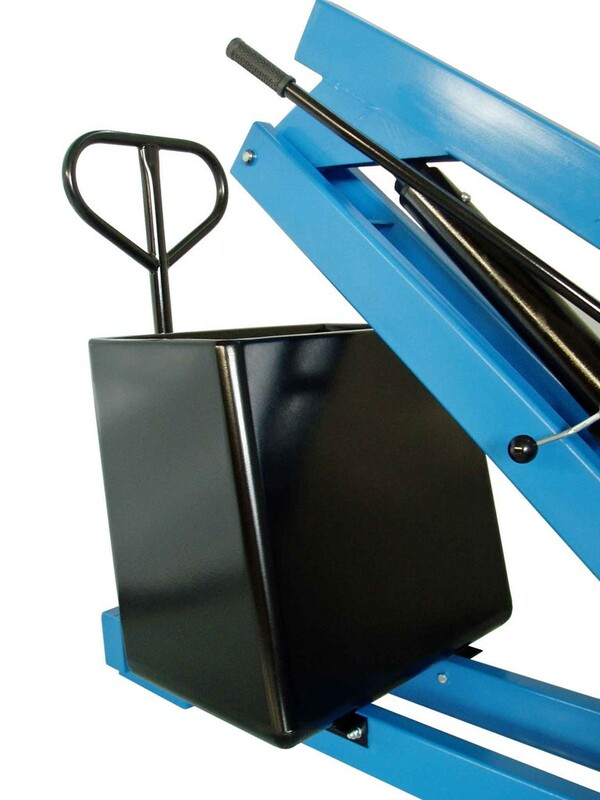 The counterweight box is equipped with a tool tray. 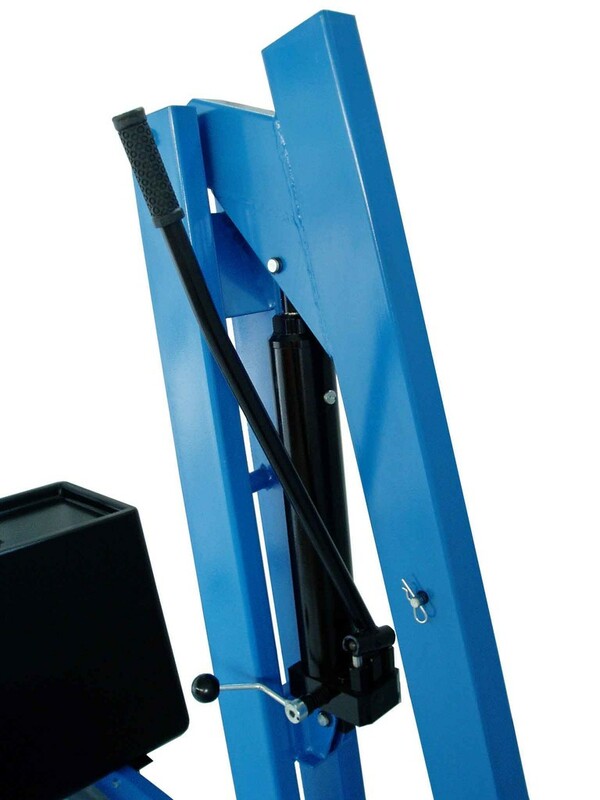 The column folds down to save space.